Found one file extension association related to Rational ClearCase and 1 file format developed specifically for use with Rational ClearCase. 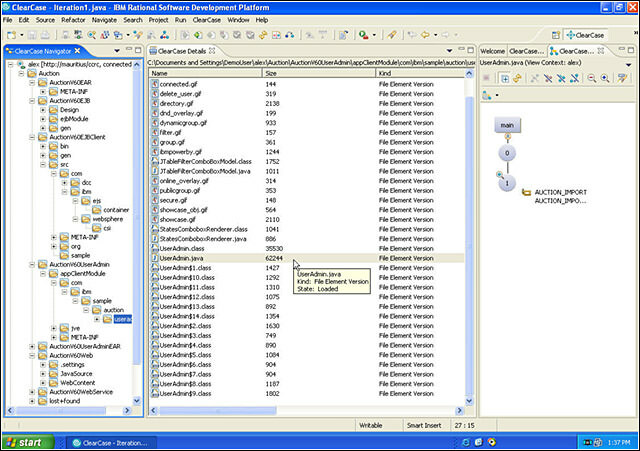 IBM Rational ClearCase offers complete software configuration management. An industry-leading solution that provides sophisticated version control, workspace management, parallel development support and build auditing to improve productivity. If you need more information please contact the developers of Rational ClearCase (IBM), or check out their product website.